But this increase might not be the kind you would want. The Daisy Mountain Fire District board has approved a 44% increase in the tax assessment this year to help buy equipment that is either old or leased. They defend their decision stating that it is saving the tax payers in the long run with a 5% discount for purchasing up front, and some $750,000 in future interest payments. Not everybody agrees, however. Some residents believe that it's unfair for the current residents to have to foot 100% of the bill for equipment that future residents will benefit from without being involved in this year's increased assessment. And those that move out of the area within the next few years will have paid for something that they will no longer be benefiting from. The assessment of the fire district is just one piece to the property tax puzzle. In a later post I will attempt to explain just what your property taxes are based on and what it is that you are paying for. It's one of the more confusing aspects of homeownership in Arizona. I'll try and make it a little more clear. Click Here to read the AZCentral.com article. Don't Get Old Trying to Save a Down Payment! AmeriDream is a fantastic resource for first time buyers who are having trouble saving the downpayment on house. With price appreciation like we've seen in the past few years, even 3% of a home purchase price can be extraordinarily difficult for first timers to save. Three percent of the median home price in the metro Phoenix area is about $8,000. Plus buyers need another $2,000 to $4,000 for closing costs. It's super important to have some savings leftover after the housewarming party for unforseen home emergencies, which pop up like those Whack A Mole games at the arcade. Then, it'd be nice to have some money to cover a few cosmetic upgrades once you're in the house - like maybe switching out the lighting fixtures from 1973 - 'cause the median metro Phoenix price of $263,000 doesn't buy granite counters and stainless steel appliances in this town. All in all, you're gonna need about $10,000 or $15,000 grand to do it right. Sure, you could skate by with the bare minimum savings, but being house poor leads to lots of dinners based on ramen noodles. Or, you could rely on AmeriDream. Here's how it works. Federal housing law allow 5 types of people/organizations to gift down payment money to a home buyer. Sellers are expressly banned from gifting down payment money to buyers. Group 1 is parents. Parents are allowed to gift money to kids. (There's 4 other categories: government entity, religious organization, 1 I can never remember, and the 1 below). There's a lovely little loophole in federal law which allows a non profit agency to gift down payment money to buyers. Somewhere back in the 1990's a couple of nonprofits appeared and did just that. Nehemiah Corp is the other one I'm aware of. These nonprofits set up a neat little triangle, so to speak, between the seller, the buyer, and themselves. The seller agrees to make a "donation" to the nonprofit org in the amount of the buyer's needed down payment, plus a small administrative fee that's usually about $300. The nonprofit turns aroun and "gifts" the down payment (minus their admin fee) to the buyer. The title/escrow company coordinates it all after the Realtors write it all up in nice legalese. And it's all totally legal, tested by dozens of lawsuits. Most recently, last October HUD sued AmeriDream and got their shirts handed to them in federal district court. AmeriDream claims to have given out over $400 million in down payment assistance grants which translates into over $14 billion in housing. Nehemiah says they've given out over $999 million in grants. I love this country! Is Your Realtor A Good Photographer? When was the last time you heard anybody recommend that you ask a prospective Realtor how good they are at taking photographs? Probably never. It’s not something that most people think about asking in the process of interviewing a couple of agents in order to choose a Realtor. But, with nearly 90% of today’s consumers starting their home search online (and a whopping 24% actually buying a house they found online) it’s crucial that your home’s online presence be pretty near perfect. You can check out a short and sweet post explaining the critical nature of photographs. Click here. It’s from the GeekEstate bloggers. I love those guys! Basically, this photograph is a problem. (I didn't want to infringe on any copyrights, so you'll have to click on it to see what I mean) The front-of-home photo in that link will almost certainly make you instantly uncomfortable. 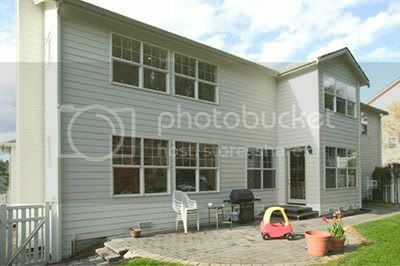 The vertical lines of the house look crooked because the agent who took the original either had the caffeine shakes when s/he took it, and/or didn't photoshop the image before posting online. Ooops, I've probably offended the Photoshop people by using their trademark as a verb. I'm a former trademark paralegal and I know that just makes TM lawyers gnash their teeth and tear at their clothes. While you're at it, ask your Realtor how many photos s/he posts online. The metro Phoenix MLS allows 6, and Realtor.com allows up to 25 pics! NAR studies (from 2005 I believe) show that homes with multiple photos get 299% more views than those with only 1. Wow! In the metro Phoenix area, potential online buyers clicking next because your photos aren't gorgeous is a big problem. We’ve got over 55,000 homes for sale. It’s common for buyers to have 200, 300 or even 400 homes to choose from that suit their needs. It’s crucial that your online photos, virtual tour and written description capture as many interested parties as possible. If you’ve hired a Realtor who posts subpar photos or only 1 photo, you've shot yourself in the foot before you begin. 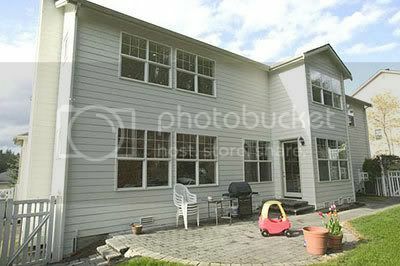 But hire a Realtor who takes time with her photos and online browsers will see this - the same house with crooked vertical lines all fixed up. Ahh, much better. The Desert Ridge area is set to be the new home of the Musical Instrument Museum, the world's first global musical instrument museum. The museum's directors just completed a $14.4 million deal with Life Care Services for a 21 acre piece of land located at Tatum & Mayo Blvds. Life Care Services has begun construction on the Sagewood retirement community on the remaining 84 acres of the piece of land. As for the Musical Instrument Museum, they are hoping for a February '08 groundbreaking, with a completion date in two years. The museum will focus on historical instruments from around the world, complete with audio & video clips when available. The director and his staff have a long road ahead of them. In addition to compiling the actual collection of instruments, designing the 75,000 square feet of museum space, and hiring curators, they are also in the process of raising the $100 million for construction and the initial acquisition of instruments. The MIM will be the first cultural amenity in the Desert Ridge area, further enhancing the quality of life of visitors and residents. Best way to unclog a clogged showerhead is to soak it in vinegar. You can do this without removing the showerhead. Use a heavyduty gallon sized zip top bag. Heat enough vinegar to fill the bag, then tie it around the showerhead. Leave it there for 8 hours or overnight. Voila! Taken from the Yankee Magazine's book Make It Last. Ø How do I pull my figures, and what do I consider North Phoenix? Click here for a detailed explanation. Ø All figures are pulled from the Arizona Regional MLS, and are considered accurate but not guaranteed. Ø Q4 2007 shows a decrease of 1,051 units (5.07%). Ø Q4 2006 shows a decrease of 1,534 units (9.33%). Ø In 2007, we went from 14,915 units at the beginning of the year to 20,713 units in October – an increase of 5,798 units (38.87%)! Ø The obvious, and most important, question is: "What will happen between now and October, 2008?" The Due Diligence Period in a home purchase contract is the time during which the buyer conducts any and all inspections of the home that she/he chooses. The Due Diligence used to be called the Inspection Period. Many agents and home buyers/sellers still call it that. The AAR changed the terminology to Due Diligence when they overhauled the language in the purchase contract in May 2005. Typically, the Due Diligence Period lasts for 10 calendar days, although buyer and seller may negotiate for more or less. The Due Diligence Period begins on the first full day after the contract is signed by both parties and delivered to both. It's important to note that the Due Diligence Period -- and all contract time periods -- are counted on calendar days. Weekends count. Holidays count. Legally, buyers can pretty much take the house apart brick by brick and inspect it all, as long as they put it all back together again the same way it was. Practically speaking, most buyers get a general home inspection and often a termite inspection. Some add a roof inspection, a pool/spa inspection, a mold inspection, and maybe an inspection of the heating & cooling systems. The seller(s) should provide the buyer(s) and the home inspectors with the Seller's Property Disclosure Statement prior to the inspections. By contract, that document is due within 5 days after contract acceptance. Buyers usually pay for their own inspections (although who pays is technically and legally negotiable). Almost all inspectors require payment up front, with the exception of many termite inspectors. Many termite inspection companies take payment out of the escrow funds when the transaction closes. After the Due Diligence Period ends, the buyer and seller have a chance to negotiate again over which recommended and/or requested home repairs are completed. RE/MAX 2000 broker Bob Kline shut the doors of his RE/MAX 2000 franchise offices this weekend, putting about 350 people out of work. A Realtor formerly with RE/MAX 2000 was quoted in the AZ Republic saying that all the agents would be just fine and they'd find new brokers to hang their licenses with in no time. Which is true. At least for the agents who were actually producing deals. Apparently, it IS true that nobody NEGOTIATES home purchase contracts on Christmas Day. Real estate is filled with pithy sayings, old legends, and rules of thumb. I'm sure most professions are the same. One of the old sayings in real estate is that "nobody buys a house during the holidays!" BTW, I hope I didn't upset any non-Christians with my title. It's getting so hard these days not to upset somebody or another. It's just that "At Christmas" fits better visually in my title bar than "During The Holidays". Nothing more. So, is it true that nobody buys or sells real estate during the holidays? I hope some of my readers -- espeically those who read but don't comment regularly -- will help me refute this "truth". I'll start: today, Christmas Eve, I'm inking 2 deals. They're smallish, so I'm not bragging here. Just trying to say that we should all take myths about real estate with a grain of salt. Everybody else? Tell your story of buying or selling a home during the holidays. I found this nice video clip the other day and wanted to share it with you all. It's got nothing to do with real estate, but in the spirit of the season, I just wanted to share something that made me feel good. These two young men were at the Desert Ridge Marketplace offering free hugs. It's a nice jesture!! The Free Hug movement started a couple of years ago in Sydney, Australia by a young man who goes by the name of Juan Mann. I had not heard of it before now, but apparently it's fairly wide spread, as he's been a guest of the Oprah Winfrey Show. If you'd like to read more about it, Click Here to go the official Free Hug website. Disclaimer: 1. The very end of the video contains some questionable language, so if you don't want the kids to hear it make sure they've left the room before the end of the video. 2. I have not investigated the www.2drinkminimumshow.com website completely, so enter at your own risk. It appears to be some type of talk show that these two young men produce on a regular basis. Most of the topics appear to be fairly innocent, but I didn't get a chance to view everything. Again, enter at your own risk. The agent-trainer in my office sent me a poem that someone had sent him years ago – I guess this is a problem that's been around, yet nobody thinks is very serious.. Sellers – please ask your Realtor to place the lockbox in an easy to find location – preferably on the front door! Or at the very least, have them tell us where it is in the MLS "Realtor Remarks" section. Realtors – I think you'll enjoy this.. I did not find you on the door. I did not find you on the floor. I did not find you on the fence. I did not find you in the trench. Or anywhere that makes some sense. I did not find you in a tree. I did not find you on my knee. Or even crawling through debris. Not on the drain while in the rain, with water pouring on my brain. I've ruined shoes, snagged hose on bushes. And suffered bruises on my tushes. I've straddled holes, reached up on poles, and even met some ugly moles. I'd like to show this lovely house, but in the search I've ripped my blouse. And now I find I've scraped my nose. Why do we hide these? No one knows. You make us search and hunt you down. Impatient clients stand and frown. We'd like to end this dreadful chore. Just put it on the DAMN FRONT DOOR! The seller is almost guaranteed to receive at least one offer. For many sellers, the time spent waiting for an offer, especially in a potential foreclosure situation, is emotionally draining. The true market price can be arrived at very quickly, and there's no disputing what that price is. This might, repeat MIGHT, make the banks more likely to accept the offer. The seller does not have to accept a contract until the end of the auction period (she's simply receiving offers), so she is allowed to continue to market the property for sale without restrictions. This gives the seller more control than she normally has. The buyer maintains a level of control he normally doesn't have. The buyer can walk away anytime he wants to. He can also continue to bid higher, knowing what the competition is doing every step of the way. The longer you wait to end the auction, the less time you leave for the banks to approve your contract. But if you end the auction too soon, you could be missing out on a better offer. Using the traditional method, you might have to wait longer than you'd like to receive an offer, but once you do you can start working on/with the banks. By making the buyer wait the process out without having an executed contract, you're opening the door for the buyer to walk away. Yes, the buyer can walk away on any deal (especially with the short sale addendum in place), but having a signed contract gives them a little more emotional commitment. If the sales price is likely to be in the $250,000 range, you're wasting a lot of people's time by starting the bidding so low. I don't think the seller cares about this one, but as more of these low-starting-bid prices are advertised, it's going to make analyzing a neighborhood a bit more challenging. Overall, I think the benefits outweigh the drawbacks by a rather large margin. This is why I think we'll see this trend continue to pick up steam. Technically, I'm not supposed to tell you. At least that's what I remember from my rookie training classes. If I'm remembering correctly, I think this was a rule dreamed up by the legal eagles in our profession. They worry that if Realtors simply tell clients what to offer, how much to put down, how much earnest money to offer and so forth. . . . well, we're essentially price fixing and could be sued later by disgruntled buyers who are having buyer's remorse. I used to be a paralegal and have lawyers in the family, so I'm pretty ultra-sensitive to the myriad of ways agents get themselves sued. Since I like to keep on the right side of my company's legal department, and since I haven't got a brass farthing worth suing me over, I won't state a 'proper' earnest money amount here. But I'll explain what's typical, and what earnest money is and does. Earnest money is the amount of money a buyer submits with an offer to purchase a house. You actually write a check and send it (actually, usually it's a xerox copy of the check) with the purchase offer sent to the home seller. Earnest money proves the buyer is 'in earnest', or serious about buying that house. If the seller accepts the offer, the earnest money is immediately deposited with the escrow/title office. It becomes part of the purchase price of the house. For example: Buyer looks at a house with an asking price of $299,900. Buyer makes an offer of $280,000. That $280,000 is made up of - (1) $3,000 earnest money, (2) $40,000 cash down payment, and (3) a promise to get a home loan for the remaining $237,000. The earnest money amount I'm using here is typical. Most of the buyers I've worked with feel comfortable offering about 1% to 2% of the purchase price as earnest money. Once the contract is accepted by both buyer and seller, the buyer's Realtor sends the earnest money to the escrow company. A personal check is usually acceptable for earnest money. Let's assume a home has a market value of about $300,000. Since it's being advertised as a short sale, we can also assume it will probably generate an offer somewhere in the $250,000 range, depending on how much work it needs. Each time an offer is received, the seller (through his agent) raises the price in the MLS, and calls back all the other agents who have submitted offers, telling them what the new "price to beat" is. The buyers can then decide it they want to bid higher than the current price. Once buyers stop bidding against each other, we can assume the agent has found a true market value, and he can then submit this true market value offer to the banks for approval. Can this process really work? I think it can, but there are also some potential pitfalls to watch out for. Tomorrow I'm going to outline the benefits and drawbacks of using this approach. When Will Housing Market Hit Bottom? I don't have a crystal ball, but I've been keeping a running mental list of signs the market might be picking up. I've got real buyers calling me suddenly. I could have moved to Phuket, Thailand from March to November 2007 and nobody would have missed me. But since mid-November I've got serious buyers calling. They want to buy a house in the next 1 to 3 months, have savings in the bank and a good credit score. Not every one pans out, of course. But having serious buyers call is a huge improvement over most of 2007, when buyers constantly whined, "I want to wait and see if prices are going to drop some more." I actually stopped holding open houses for a while so I didn't have to worry about going postal on the next person who whined that phrase at me. Sellers have stopped fighting me on pricing. Not every one mind you, but by and large my seller clients are listening right from the start when I tell them, "No, drop $30,000 off that price and we need to spend $2,000 on staging before we list it." Homes Are Selling. I've almost sold all my listing inventory. Granted, I don't quite run with the big dogs yet, but I had a healthy inventory of listings for a 3rd year agent. Most have sold and the few that remain show signs of going soon. Also, one of my buyer clients sent me a list on Thursday 12/13 of 7 homes she wanted to see. We went out on Sunday 12/17 and 3 of them went under contract since Thursday. That hasn't happened to me in about a year and a half. Numbers moving incrementally in the right direction. Number of homes for sale and number of houses actually sold are moving incrementally in the right direction. Inventory is slightly down and sales are slightly up. We've got a long way to go, but it's good to see some progress being made toward a more 'normal' market. Appraiser activity is up. Heard Jay Delich speak today. He's a local appraiser who's got 36 years in the business. He says his phones have been ringing off the hook for the past 3 weeks. Some of that work is for refi's and relocations, but he made a special point of telling a roomful of 150+ Coldwell Banker agents that he's busier than he expected to be. Is this a trend or a fluke? Sadly, the only way to know is to see the December and January 2008 month-end stats. But I'm hopeful. 'Cause even though Thailand is really pretty and really cheap to live in, I really don't want to move there. I'd rather stay here and sell houses. One of the things I find interesting about taking license renewal classes (and if you guessed it's not the class itself, you're right!) is seeing the vast technological diversity among the Realtors in attendance. It seems like every class I attend we have a discussion about how to use email effectively, or something to that effect, but that's another topic for another day.. He proceeded to pull out a giant of a phone, which was actually bigger than my home phone! (my guess was that he was still paying 50 cents per minute on his decade-old plan!) He was good humored about my jabs regarding his "rotary-dial cell phone", but in the end it looked like his old faithful had finally given out on him, and it might be time to upgrade to a more current phone. New Construction - Where's the Money Go? This is interesting for a couple of reasons. First, it was published in early 2007 when the builders hadn't woken up about the market changing 180 degrees from the boom days. Back then, builders were militant - they wouldn't pay a buyer's agent a commission unless the agent accompanied the buyer on the first visit and offered a pint of blood to boot. Nowadays, builders are offering silly-crazy incentives to lure buyers and the agents who represent them. Free pools, tens of thousands of bucks for spending in the builder's design center, 4%, 6% or even 10% commission to the buyer's agent. I'll be watching for the 2007 numbers. Betcha builders commission expenses have gone waaay up now that it's really stinking hard to sell a home. Second, I'm surprised the builder's profit margins are so narrow. I'd love to hear from any readers who have inside knowledge of the home building market. I'm just having trouble believing that builders are making so little.